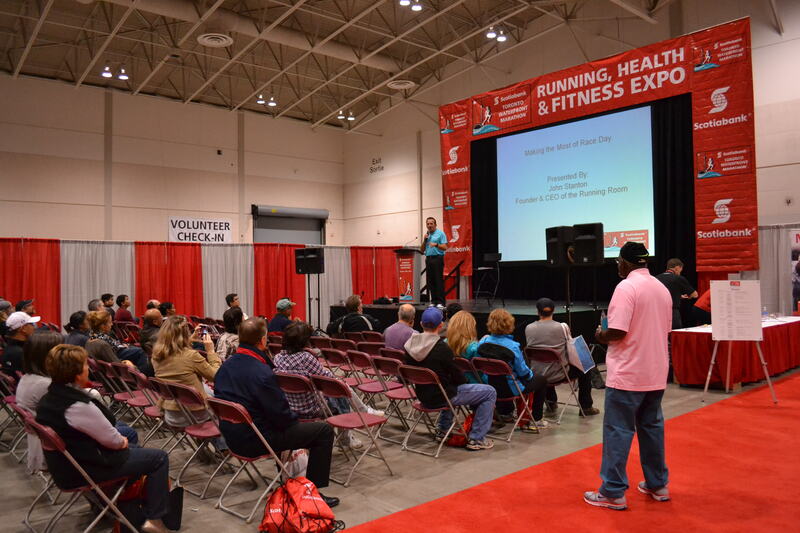 It was my first time to do a volunteer job in such a big event, an unmissable event involved over 24,000 runners, nearly 3 thousand volunteers, and raised 3.2 million dollars for local charities! As an event marketing student, I gain precious on-site experience and learned a lot through 2 positions I volunteered for the marathon. 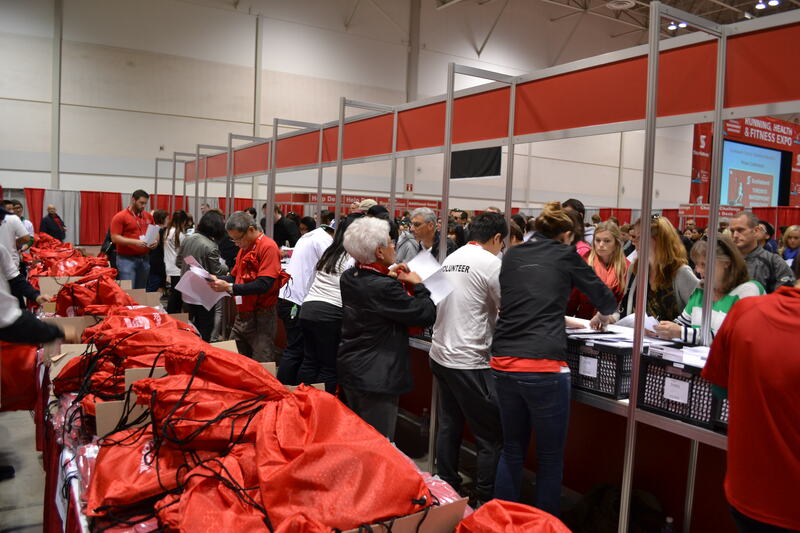 The first job I did was packet pick-up in Direct Energy Centre on Friday prior to the run day. Most of us were assigned this position since 24,000 runners came on Friday and Saturday for their packet on race day, so it was a huge workload. We arrived early that day, and before started our work I just looked around and found that there was still a press conference and expo held there, which was a great opportunity to experience the conference as well. 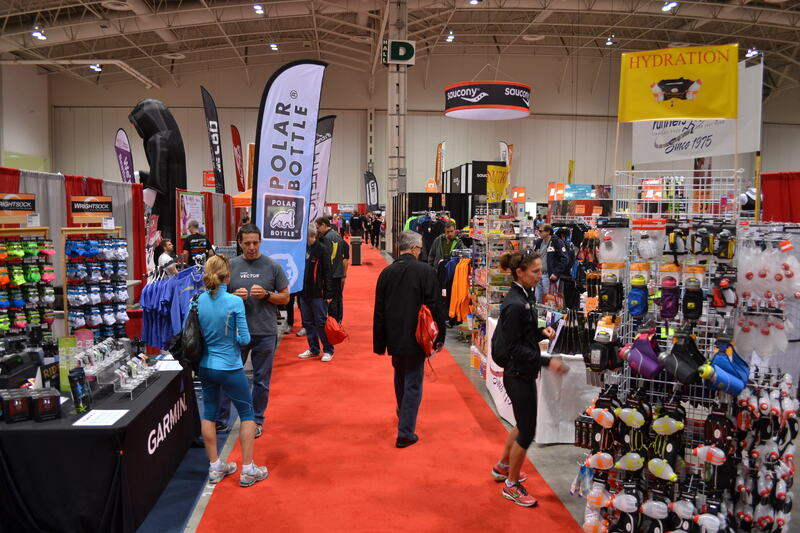 Sports vendors could display their products to the target consumers, the group of people love sports and engage in it. It is not only a good chance to sell, but also an effective way for brand promotion. Our job started sharp at 11, we were at the front line to greet the athletes, and handed out packets according to their bid numbers. Though the line-ups were long in the morning, things were arranged orderly that we could pick up fast and smoothly. The high school students were also part of our important partners, they prepared for the athletes’’ bags and gave us quick response on what we need. We had to follow some rules when giving out the packets and experienced problems, our tent manager solved it in a grace and calm manner. Most people we met were nice though some were indifferent or complaining with problems, but it was part of our job to keep courteous in any situation. My second position was media check-in on Sunday race day. It was a chilly day and we have to get there at 6 in dark, but fortunately the sun came out later in the morning that gave us warmth and we didn’t have to stay outside in rainy days as expected. Working for media check-in was more like a security job actually. 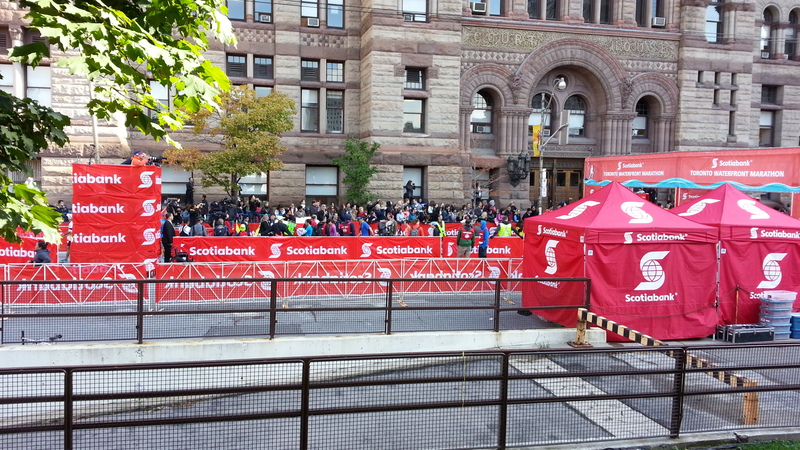 In case that too many media reporters thronged at the finish line, there were three media areas with specific pass. Our job was to separate them into different areas and stopped public accessing to the blocked area. 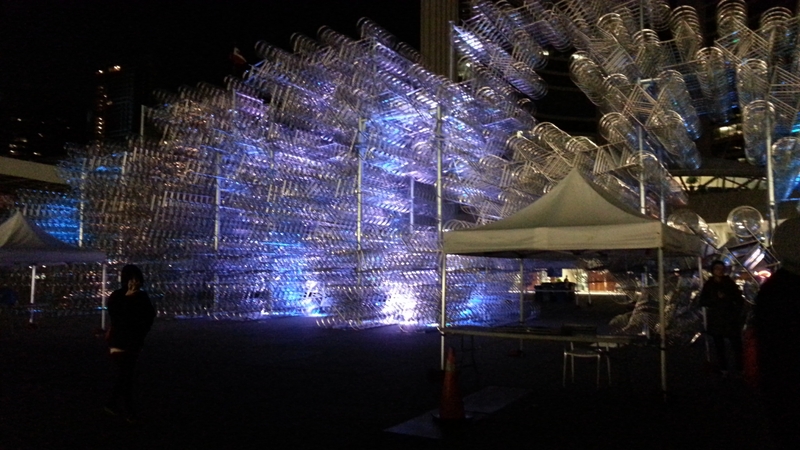 I assumed it was an easy position and seemed there were not so many people for the media area. However, I was totally wrong and never expected what happened in the following. After the marathon started, more and more people came to the blocked area for media only, because it was an important access to cross the street to the opposite shopping malls or office buildings. Our tent managers just gave us instruction that do not let anyone without pass access to the area and ask them to go to help desk. Nonetheless, it seemed that there was no clear guidance on the road block, and some of them angrily shouted at us because they were in a hurry for their appointment or not satisfied that no notification of this and could not find their way out. At the very beginning, we didn’t know how to guide them and just told them to help desk. But It didn’t work well and even caused more anger and complaints because there were long line-ups on the help desk already or the “ask me” volunteers directed wrong information. Later the situation got better when we figured out how to guide the public out the square and just repeated this again and again. Though my job on race day was tiring and thankless, I did understand the inconvenience it caused for the public and most of the shouting was not for us but for their dissatisfaction on the organizations. I still appreciated this precious chance at least I saw the importance of volunteer management and negative impact if you fail to well organize an event. 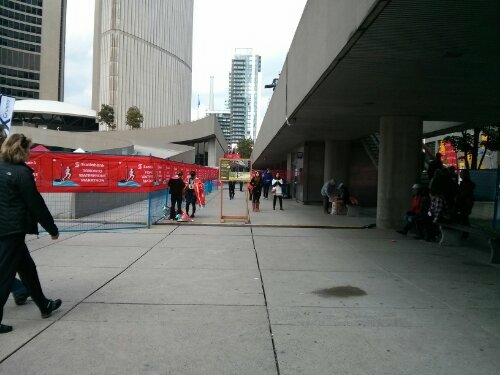 Two madams just said they would cut off all the business with Scotiabank, which is really bad for company image. Nevertheless the marathon was a successful event despite some flaws, attracting worldwide athletes and several records were broken. Many of the runners were family members, for them it’s an unforgettable family time. I also saw some dressed in funny costumes to enjoy themselves. I like seeing people’s smiling faces at the finish line and witnessing such excited moment. I helped take pictures for them and I could feel how thrilled they were when they got their medals. They kissed, they hugged, they cheered! It was not just a sport event, but also a moment to show our perseverance and share joy with families and friends. 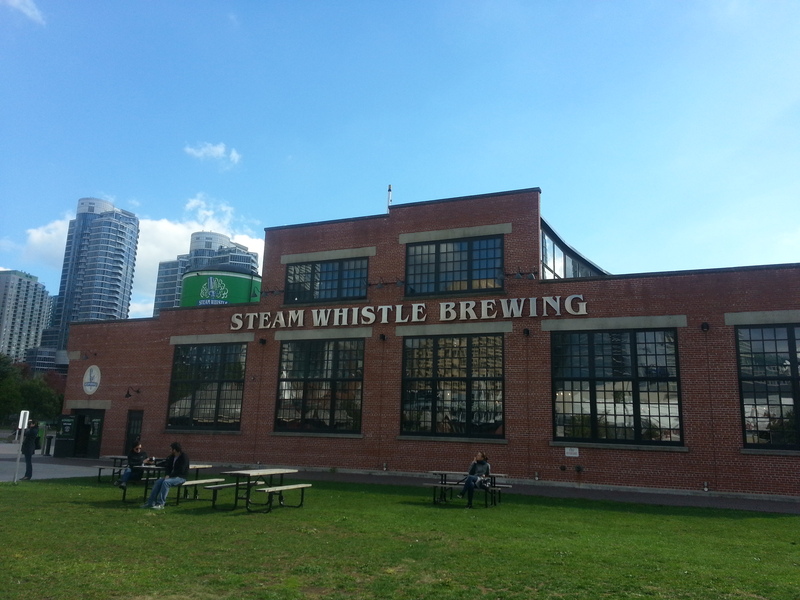 When I heard that we were going to Steam Whistle for site visit, I was curious about what differentiate it from Distillery District cuz in my perception Steam Whistle may be another cultural or tourist spot transformed from an old brewing factory. Then I searched its website for more information before the tour and found that it was totally more than that. 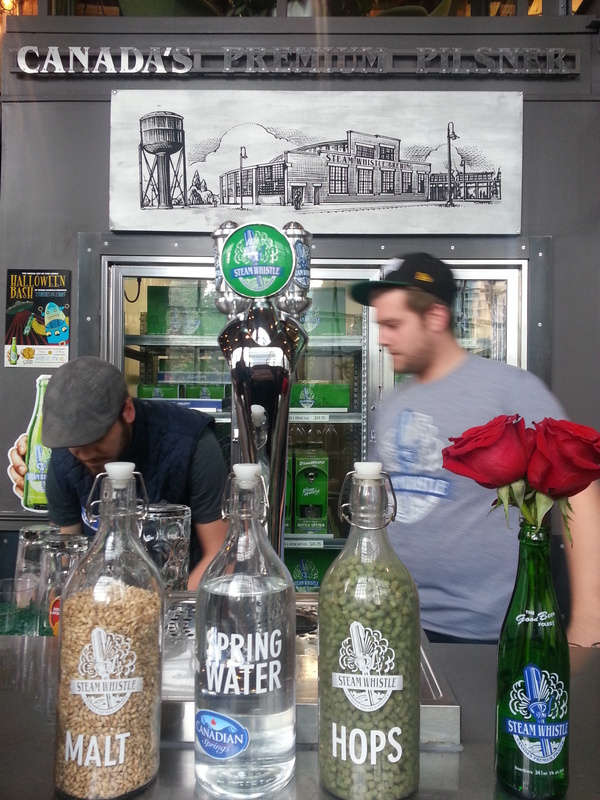 Situated in historic John St. Roundhouse, Steam Whistle is a present world class beer producer with a green brand image, inspiring starting story as well as providing brewery tours for visitors. I was looking forward to this interesting place. 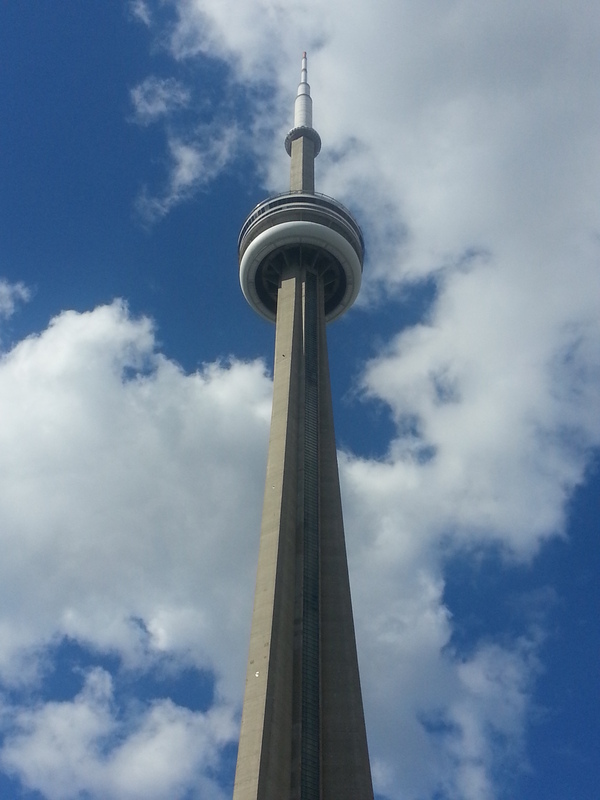 Standing on the foot of CN Tower, the huge green vat caught our eyes. Surrounded by many railways and locomotives the vintage Roundhouse reminded me my childhood life playing in my parents’ factory, a similar plant with exposed red brick and multi-paned windows. 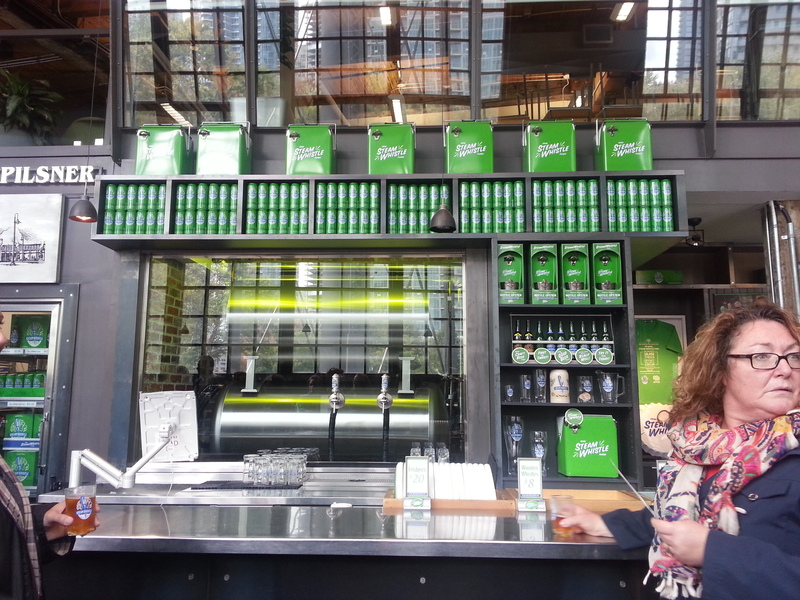 Stepping into the entrance, the stunning green logo of Steam Whistle turned up and hit us. 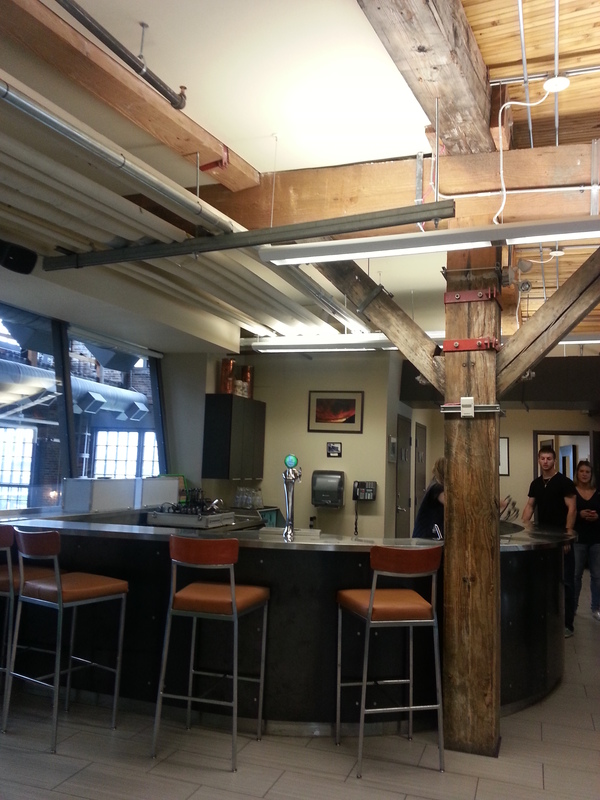 Before the tour, we were offered to taste the beer at the counter, which was very nice even though I am not a beer lover. First we were ushered to the Gallery, a pretty ideal venue for art exhibition and small cocktail reception. We saw a green bicycle representing their green image at a corner and many historic photos about the plant and the company on the wall. Broken up into 2 two groups, our tour guide Tyler led us to the second floor and made a brief introduction about the beer story. It is also a new venue called Mezzanine Room enclosed in glass windows that we could enjoyed all the views of Toronto skyline, Roundhouse, Gallery and Hall below. I love this place, cozy and home-like. 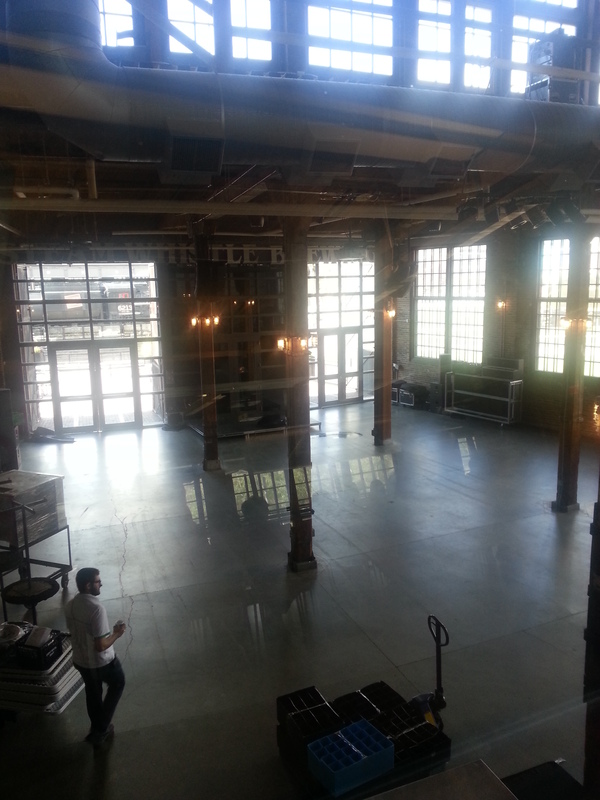 Then he brought us down the Hall, the major event place with 30 feet height of the brewery, which is spacious enough to accommodate 500 people and versatile in holding different kinds of events, especially the outdoor patio can be an excellent expansive place to enjoy the view of CN tower. There is a packaging line beside the hall and Tyler brought out some fresh produced beers for us; the retro green bottle is very cute and distinctively designed. Tyler was a really humorous and kind person; we just followed him to go through the whole production lines and got a lively tour on how the beer is made. After the tour an introduction about the company and different events held in the venues was delivered. The whole trip was informative as well as inspiring. I got a clear idea on versatile functions of the venue and how different events went through with facilities. I was deeply impressed by its Green brand image, though they do not spend too much on mass advertising, their dedication on green, home delivery, vintage style and indie event sponsorship make them unique and stand out among fierce competition in a steady development.